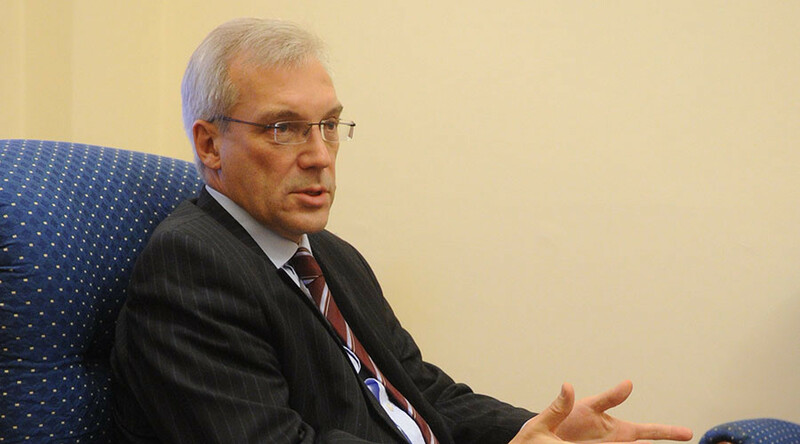 NATO has used the conflict in Ukraine to confront its own internal crisis, said Russia’s permanent representative to the bloc, Alexander Grushko, who also warned that Moscow considers NATO’s “containment policy” towards Russia to be a threat. “Many of alliance representatives I’ve talked to confessed that the events in Ukraine have been used as a means to overcome NATO’s identity crisis,” Grushko said speaking at London’s Royal United Services Institute on Monday. 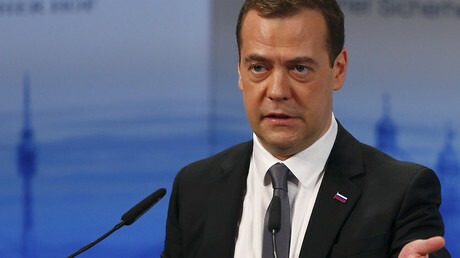 He said that the speed in which “NATO made a turn and ceased all practical cooperation with Russia, shifting military planning attention to countering the so-called threats from the East” demonstrates that the alliance has been pedaling its own agenda from the start. NATO has been pursuing a policy of containment reinforced by military build-up that threatens Russia’s national interests, Grushko stated. Attempts made by NATO and its partners to depict Russia as a threat only aggravate relations inside the bloc, Grushko said. “We have to overcome the tangible heritage of the ‘cold war.’ Until recently we considered that it was an issue of the past, but the Ukraine crisis has revived the ‘cold war’ ideology,” he said. These intentions contradict NATO’s interests and will cut the bloc off from constructive work in which cooperation with Russia is crucial, such as the fight against terrorism in Afghanistan, he said. Europe’s entire state of security fully depends on the quality of NATO-Russia relations, he added. Grushko noted that cooperation between Russia and the military bloc has been “nearly paralyzed” due to NATO’s decision to suspend it, adding that Moscow was ready to consider any new proposals should NATO revise its stance. Despite multiple Russian appeals to the alliance to avoid provocative steps, earlier in February NATO defense ministers agreed to form an "enhanced” rotational force in Eastern Europe and to step up military exercises there. NATO intensified its military activities in Europe after the eruption of the Ukrainian crisis and Russia’s reunification with Crimea in 2014. The alliance carried out a number of massive military drills last year, including “Trident Juncture 2015,” the biggest since 2002, which included 36,000 international troops, as well as more than 60 warships and about 200 aircraft from 30 states.